Trinity's taekwondo club came away with 12 medals between seven members this weekend at the British University Taekwondo League. 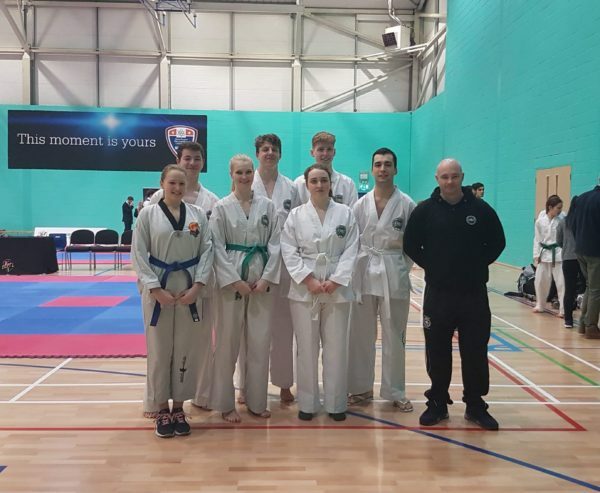 Dublin University Taekwondo Club came away with 12 medals from the British University Taekwondo League this weekend, after a positive weekend for the club in Manchester. The event, hosted by Manchester Metropolitan University, was a “feeder” event for next year’s taekwondo world championships. All seven of Trinity’s athletes comfortably qualified for this tournament, with five athletes picking up more than one medal at the competition. Stephen Byrne and Paul Conway were the only gold medallists from Trinity at the nationals, both coming first in their sparring weight classes. Conway also gained Trinity’s sole silver medal for his patterns performance. The team also gained nine bronze medals at the competition, with Barbara Babic, Lucie Delobel and Luka Verdé finishing in third place in two separate categories each. Byrne gained a third place finish for his patterns routine, with Caoimhe Ní Dhuibheannaigh and Connor Bardon rounding out the Trinity team’s silverware from the weekend with a bronze medal apiece. In the patterns section of the taekwondo, each competitor must perform two designated pattern routines for which they are awarded points based on execution. Sparring, on the other hand, consists of two back-to-back rounds of taekwondo between two competitors, with a one-minute resting period between matches. Trinity’s taekwondo practitioners are no strangers to international success. Ellen Ince, a student of European studies, competed for the Irish national squad in the International Taekwondo Association World Championships in 2017, when they were hosted in Dublin. Ince has achieved success at both European and international level. In an interview with The University Times in 2016, Ince said that the success of the Irish team in recent years had resulted in the championships being staged in Dublin. Ince said the Irish were “taking over” in taekwondo. “We’re dominating at European and world level, and I think that’s partly why we were awarded the World Championships this year”, she said.